In this tutorial, I will cover two examples of how to use gravity forms and woocommerce in your ecommerce website shop to deal with complex products. Install and activate the Gravity forms plugin. When you activate gravity forms and add your licence key, make sure you go through the set-up process, including the currency you will be using in your store. 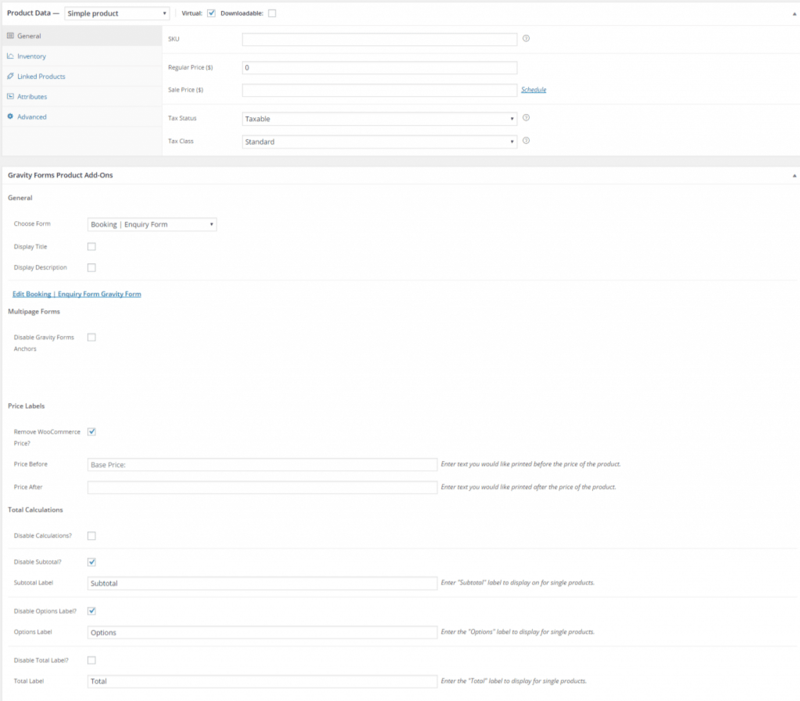 Then install the Woocommerce Gravity Forms Product Add-on plugin. 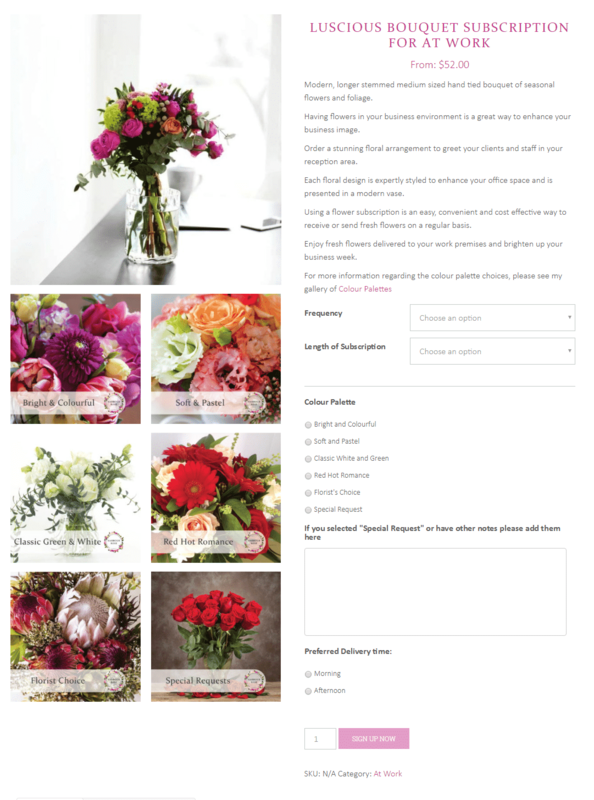 While it is possible to use gravity forms as a stand-alone ecommerce solution, I use Woocommerce as well because of the additional functionality. Woocommerce offers more account creation functionality which makes it easier for returning customers to buy again. It also offers the ability to add additional products to your woocommerce shop. Create a gravity form that offers all the options. In the example below, I used gravity forms conditional logic to make the details about the product appear only after it is selected. In the example below, the client is offering multiple services. A customer can buy these services easily from one form rather than having to navigate to multiple products. 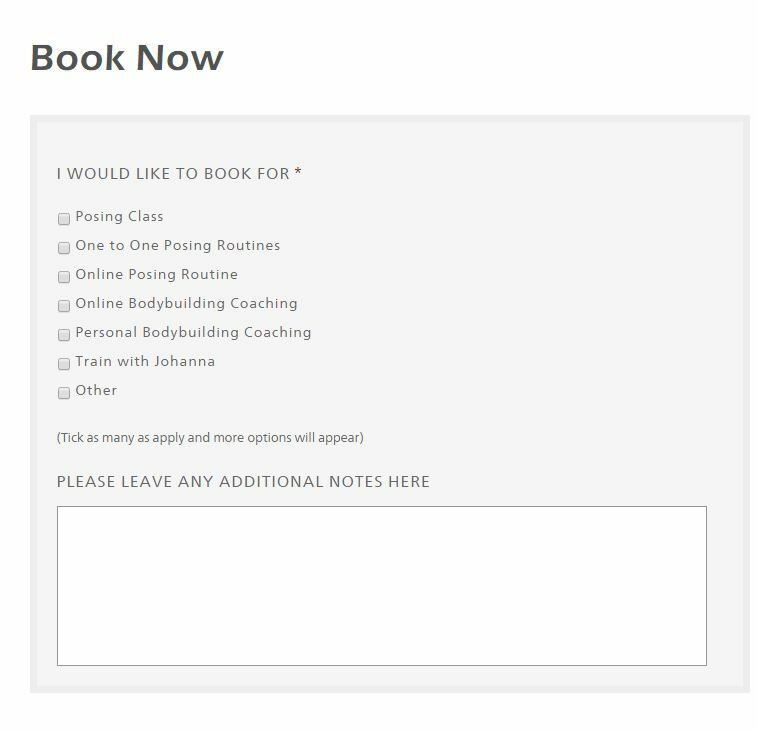 Any additional details required for that booking can be collected with this same form. Then fill in the Gravity forms Product Add-on. I made the product $0 and I did not add any details to my long or short descriptions. You can add a product image if you like, but for this particular option, I opted to hide the image using CSS. 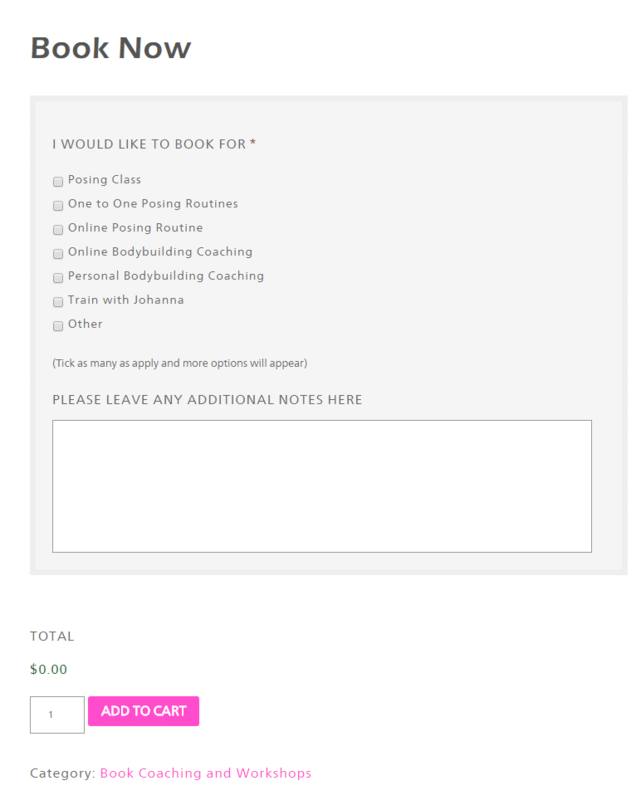 Here is an example of the booking page. Johanna has other products in her woocommerce shop that can be purchased as well as downloads. Create the product as per normal and then set up the gravity form with the add-ons or the additional variations. This method was very helpful for woocommerce subscriptions. This enabled me to move some of the variations to the gravity form ie the colour palette so that the number of subscription variations was reduced meaning the product page was faster to load and process. We offer WordPress Services if you need help with Woocommerce.